Hunter Davies’ childhood lived amongst the post-war dirt and grime of Carlisle was immediately hailed as a classic memoir from one of Britain’s foremost columnists of the past half century. The Co-op’s Got Bananas! left our protagonist at the cusp of working for one of the world’s greatest newspapers – The Sunday Times. 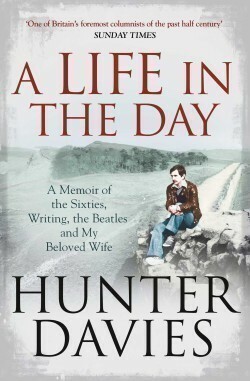 In this much-anticipated sequel, Hunter now looks back across five decades of successful writing to reflect on his colourful memories of the living in London during the height of the Swinging Sixties, becoming editor of Britain’s first colour weekend supplement The Sunday Times magazine; befriending the Beatles; and interviewing (and partying with) the biggest names in television, film and theatre of the day. Hunter brings the story full circle to reflect on his years spent with the love of his life – the bestselling writer Margaret Forster, who sadly passed away in February 2016. This will not only be a colourful and enjoyable memoir of what it was like to be at the epicentre of Britain’s artistic heart, but also an emotional, heart-felt tribute to family, friends and colleagues. For those captivated by The Co-op’s Got Bananas!, this sequel is a must read.